LCP 128 lets you set exterior lights to come on at dusk and resets when employees or customers leave, providing a different scene after midnight and turning off at dawn. Building and parking lot lights can be set to turn off lights a pre-determined number of minutes with an overnight setting. 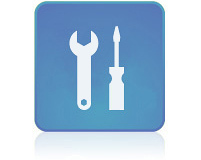 Dimming the lights in your facility can dramatically reduce energy consumption and costs. 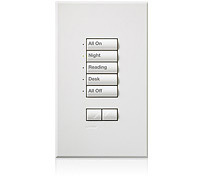 Strategic dimming controls by Lutron helps reduce maintenance costs, extend lamp life and minimize customer disruption. Preset a lighting scene just like you preset your favorite radio station. Select scenes automatically based on daily time schedules, manually from intuitive wall controls and from external inputs like occupancy sensors, daylight sensors and security systems.